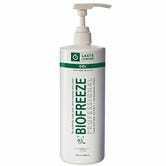 Your sore muscles will already start to feel better after you snag this Biofreeze deal. Just clip the 50% (!!) coupon to get a pair of fast-acting roll-on sticks for $10, an all-time low on Amazon by $4. 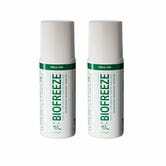 Biofreeze can be applied directly to the skin to relieve muscle pain, arthritis, and other forms of soreness. I can’t say I’ve ever used it, but it has great reviews from customers, so if you’ve been feeling achy, it may be worth a shot. If you go through a lot of this stuff, there’s also a 20% coupon available on the 32 oz. pump bottle, bringing it down to $43.